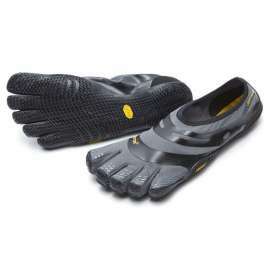 Vibram FiveFingers can be considered as the barefoot footwear that revolutionized today's athletics. 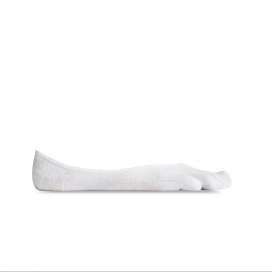 They are minimalist shoes where each toe has its own space, which allows our anatomy to work freely and move naturally. 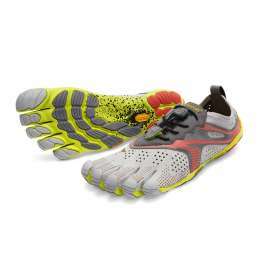 Imagine sneakers that could really help you maintain foot health, strengthen the muscles of your feet and calves, improve range of motion, and increase sensory reception important for balance and agility. 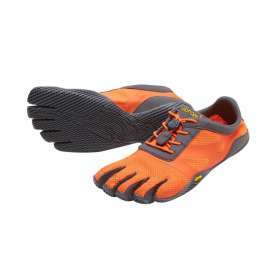 Imagine a shoe that can make running a safe and healthy experience, and that encourages the natural landing of the forefoot, which generates less impact on the knees, hips and lower back. 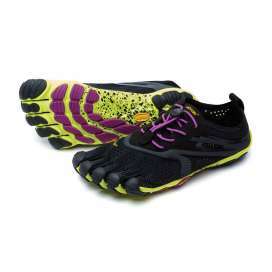 That's what Vibram FiveFingers can offer you. 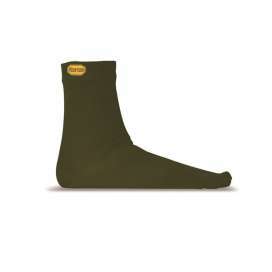 Vibram socks have medium thickness, and are soft and durable. With a composition of 70% Coolmax, they are ideal to keep your feet dry and free of friction and blisters. 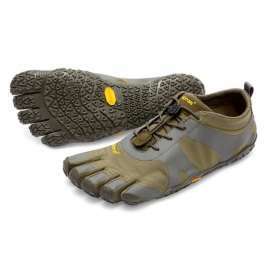 They are the perfect complement for both minimalist shoes, as well as for FiveFingers. 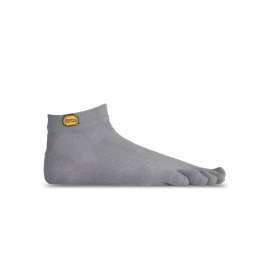 Vibram socks have medium thickness, and are soft and durable. 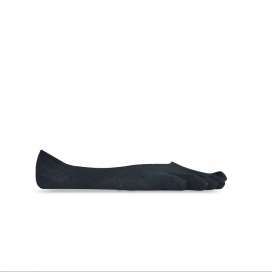 With a composition of 70% Merino wool, they are ideal to keep your feet dry and free of friction and blisters. 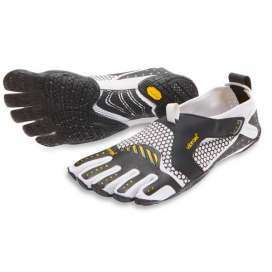 They are the perfect complement for both minimalist shoes, as well as for FiveFingers. Drop 0/Weight 136g/Stack Height 7,5 mm. 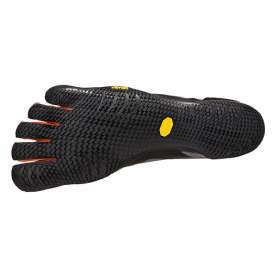 Esta versão do FiveFingers para correr no asfalto oferece uma experiência de carreira natural sem precedentes e é postulada como o ideal para aqueles que querem ir a um sapato minimalista. 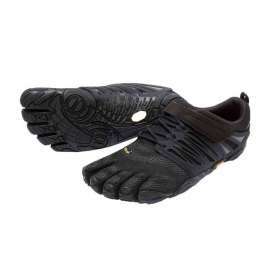 O tecido é mais respirável e Vibram XS RUN permite mais feedback durante a corrida. Drop 0/Weight 105g/Stack Height 3mm. 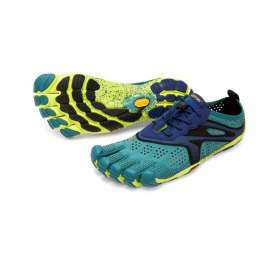 A perfect shoe for rowers, surfers, kayakers and SUP fanatics, the FiveFingers Signa provides grip and comfort while on the water, with superior drainage so you're never water-logged or soggy. 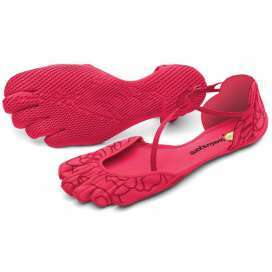 An amphibious shoe to enjoy barefoot with protection. Drop 0/Weight 136g/Stack Height 5,7mm. 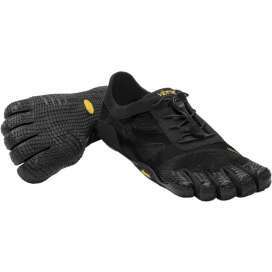 New FiveFingers for 2018! 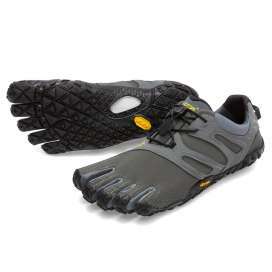 The V-Alpha is the ideal shoe for natural outdoor training, and is 100% true to the philosophy of Vibram FiveFingers: footwear that protects the foot, but allows sensory perception of the floor, performance and dexterity . Drop 0/Weight 170g/Stack Height 8mm The V-Trek is a great tool for walking, hiking and trekking, with a nice stylish urban flare as well. 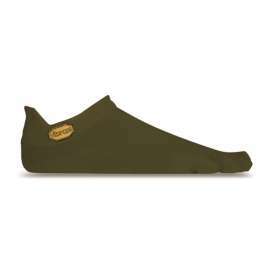 The Flexible outsole featuring Megagrip provides the premium outdoor formula for grip in both wet and dry conditions. Drop 0/Weight 300g/Stack Height 5mm. 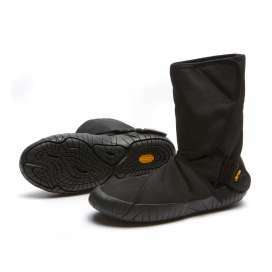 The new minimalist boot Vibram Furoshiki Lapland is the new concept of casual footwear for everyday life. 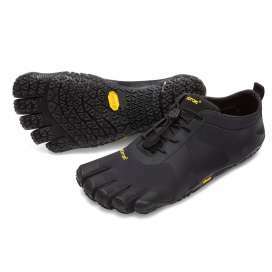 Your new Vibram XS City outsole offers an optimal compromise between grip on wet surfaces and durability. Made of synthetic leather. 100% Vegan. Drop 0/Weight 300g/Stack Height 5mm. 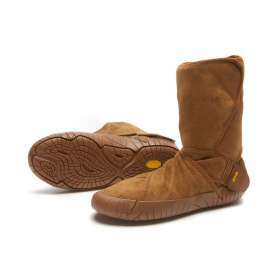 The new minimalist boot Vibram Furoshiki New Yorker is the new concept of casual footwear for everyday life. This footwear is designed to keep one warm on cold and wet roads while maintaining a clean look and feel aimed at practicality. Also features a water resistant Synthetic outer fabric. Vegan. Drop 0/Weight 300g/Stack Height 5mm. 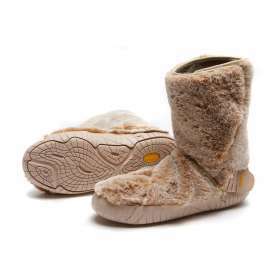 The new minimalist boot Vibram Furoshiki Shearling Classic is the new concept of casual footwear for everyday life. 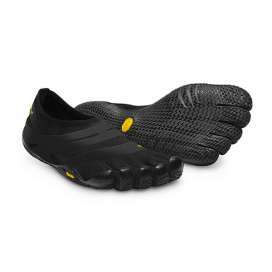 Your new Vibram XS City outsole offers an optimal compromise between grip on wet surfaces and durability. Made of synthetic leather. 100% Vegan.